Irish involvement in the World Badminton Championships in Guangzhou ended on Tuesday when Irish No 1 Chloe Magee lost in the opening round of the women’s singles to Hsaio Ma Pei of Chinese Taipei. Although Magee was no pushover and pulled off a number of good points in the 36 minute match, Pei had clearly upped her game since the pair last met in the Thailand Open earlier the summer. She controlled the match from the start, winning the opening set 21-14, and keeping up the pressure in the second which she also won 21-14. A day earlier, Scott Evans has lost his first round match at the after a gutsy performance against current world No 1 and top seed, Lee Chong Wei of Malaysia. Evans kept the Malaysian on court for 40 minutes, competing in a number of long rallies and scoring some good points before bowing out in straight sets at 21-14 21-15. In the mixed doubles, Chloe and Sam Magee started brightly, leading the Dutch pair Jorrit De Ruiter and Samantha Barning 11-9 in the first set. The Dutch, who won the Irish Open title last December, then took control of the match, winning 21-15, 21-12. 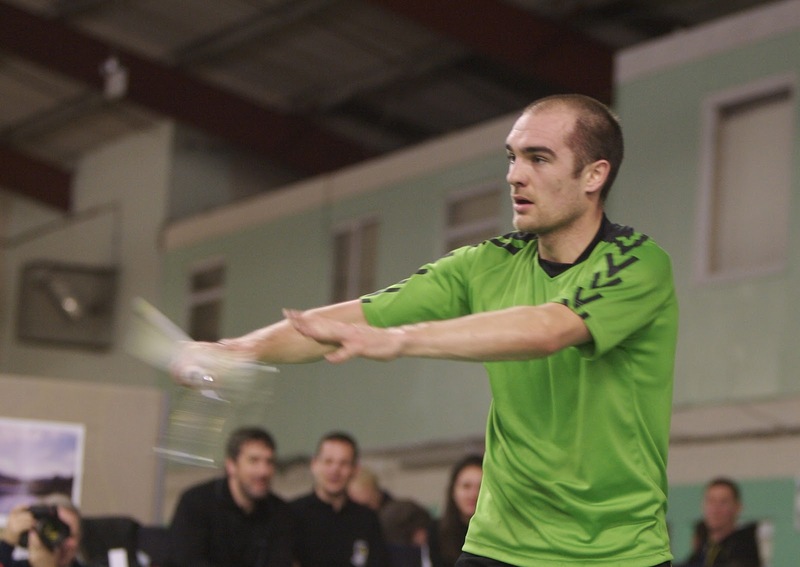 * At the World Dwarf Games in Michigan USA, Irish badminton player Niall McVeigh retained the singles title he won four years ago in 2009. 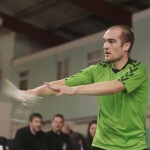 McVeigh progressed from the groups to survive tough quarter and semi-final matches against British players Oliver Clark and Andrew Martin. In the final, he faced another British player Krysten Coombs and kept his cool to take the title 21/19-21/12. In a good tournament for the Irish, Emma Farnham made it to the women’s final, only narrowly losing to Britain’s Rebecca Bedford. Andrew Moorcroft made it to the semi-finals of the junior tournament, while newcomer Emma Fitzsimons learned arned a huge amount from her first outing at this level. CANOEING: Peter Egan of Salmon Leap has won the men’s K1 1,000m, 500m and 200m title at the World Police and Fireman Games in Castlewellan. HOCKEY: Cliodhna Sargent of Cork Harlequins is to replace the injured defender Lizzie Colvin on the Irish squad for the upcoming EuroHockey Championships (Belgium August 17 – 25). Sargent, who has over 125 caps, has returned to training with the squad in the past month. Ireland faces Netherlands, Belarus and hosts Belgium in the group stages of the tournament. EQUESTRIAN: Robert Splaine, manager of Ireland’s Aga Khan show jumping team, escaped unhurt in the early hours of this morning (Thursday) when a component of a fridge exploded in the room where he was staying in the Burlington Hotel, Dublin. Splaine and his son David were awoken at 5am by a loud explosion. “It was a bit of a shock to hear such a loud sound so close but when we switched on the light we could see no signs of what might have caused the explosion. The room, however, was soon filled by a very pungent odour and at that point the staff of the hotel came to the door and told us the hotel was being evacuated. “Fire brigades and ambulances had arrived by this stage and all the hotel guests were assembled outside. The emergency services were very good, I have to say, and looked after the situation marvellously. Ireland’s Aga Khan team will bid to repeat their 2012 victory when they compete on Friday (August 9) under Splaine at the Discover Ireland Dublin Horse Show at Ballsbridge. SWIMMING: Dutch long distance swimmer Milko van Gool has set a new men’s record for the North Channel, swimming the 21 nautical miles from Donaghadee, Northern Ireland to Portpatrick Scotland on Tuesday July 30 in 10 hours and 34 minutes. His time smashes Kevin Murphy’s long standing record of 11 hrs 21 minutes set 43 years ago in 1970. The overall record for the swim is held by the American Michelle Macy who made it across in 9 hours 34 mins on July 15. That time time Alison Streeter’s 1997 record of 9 hrs 54 mins set in 1988. Only 13 swimmers have ever made it across the treacherous channel of water. Streeter, the “Queen of the English Channel”, still holds the record for a Scotland to Ireland swim of 10 hours 2 mins, set in 1997. On July 8, Anna Carin Nordin became only the ninth person to make it across in this direction; she took 14 hrs 21 mins. Van Gool, who works with the EU delegation in Malawi, holds the record for the fastest swim across Lake Malawi, covering 14 miles (24km) in 8 hours and 46 minutes. He also swam the English Channel in 2011.